The secret to building a great brand is to find a deep human truth about the end user. A brand architecture provides a structured way to uncover these insights together with the client. If we can find it, the singular customer insight behind the Innovation Warehouse will inform every aspect of the strategy, messaging and design. We interviewed dozens of members to help define the shared values. Building a brand architecture isn’t a substitute for the hard work of empathy and creativity. Instead, it’s a rigorous process that helps triangulate the problem space. First, we build a set of brand attributes, then distill the brand values, then we converge on a brand essence. It feels like a process of deduction or corporate archeology. I believe that the best brands are already latent in the existing organisation, they just needs to be coaxed out. The brand architecture is the most important part of a rebranding process. The brand architecture pyramid summarises the attributes, values and essence from the management workshops, customer interviews and strategy sessions. Attributes are the functional benefits of your product. For example, a BMW gets you from point A to point B and it handles well. Values are the things that you and your audience care about. BMW’s include efficiency, design and pleasure. Sometimes the internal part of the brand architecture process feels a bit like management consulting. Everyone is exited at the time, but the report just goes on the shelf. Something that we do differently to many branding agencies is that we translate the internal brand pyramid directly into the external communications framework. This brings the internal strategy to life. The external communications framework provides a consistent set of key messages for marketing, advertising, PR and design. 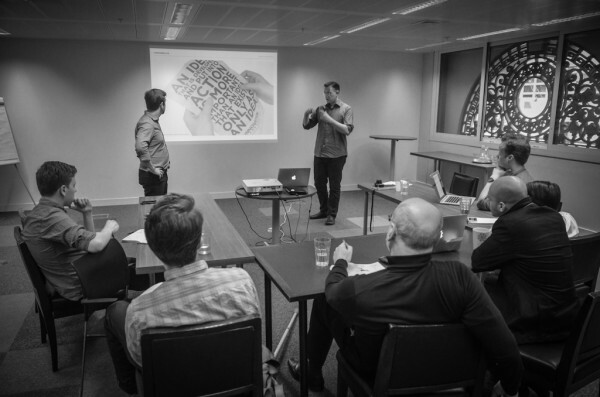 We ran strategy workshops with the team and individual sessions with key stakeholders. Attributes are expressed as Key Messages. BMW’s attributes include onboard internet, brake-horsepower and 24 hour test drives. Values are expressed as brand Story Themes. BMW can remix combinations of the Elegance and Performance themes to create fresh but consistent brand stories. Before undertaking the Innovation Warehouse brand architecture we completed the brand audit, customer interviews, competitor research and brand immersion (trying out the various products and services). 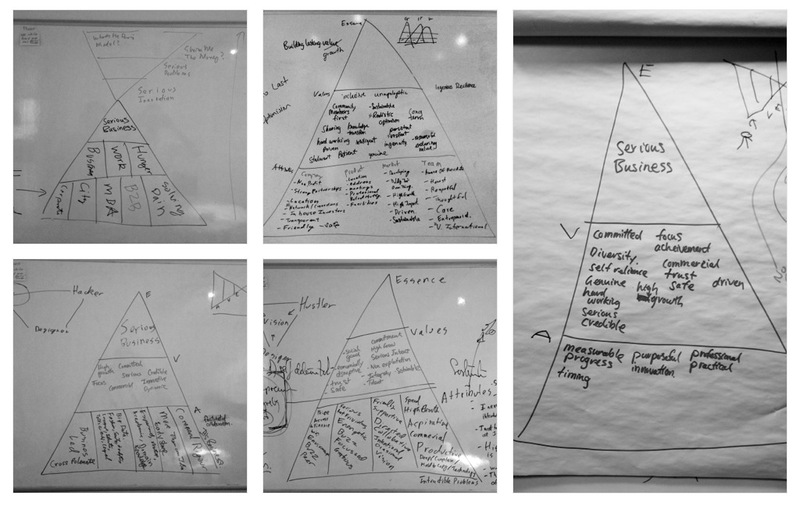 We’ve continued to discuss and refine the brand architecture in management workshops. At other co-working spaces there are a lot more technology-led or design-led businesses. Here at the Innovation Warehouse, the mood is a lot more business-led. The shared business-focus is expressed in the customer experience. 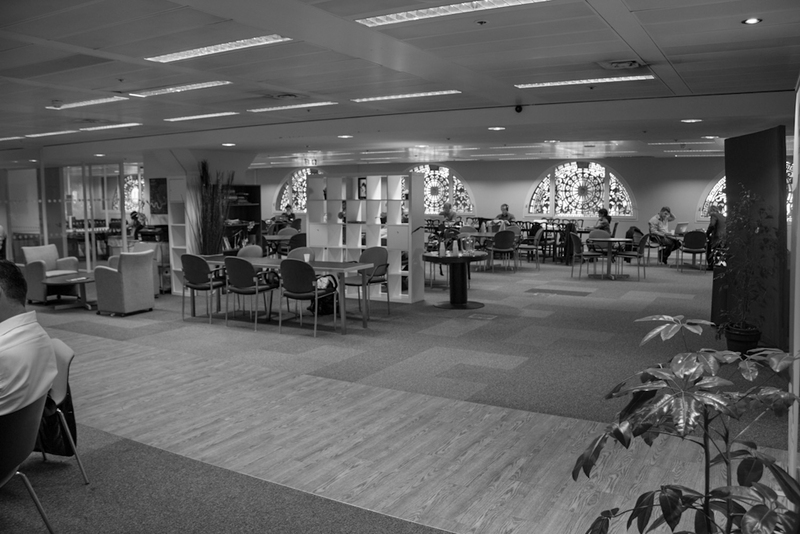 The companies that are attracted to the Innovation Warehouse have often been started by someone who spotted a need in the market and had a business idea. Then built a team to deliver the technology and design. This means that the tone of the Innovation Warehouse is more business focused. It’s not necessarily something to put front and centre on the website, but it’s a very real trait of the community here. 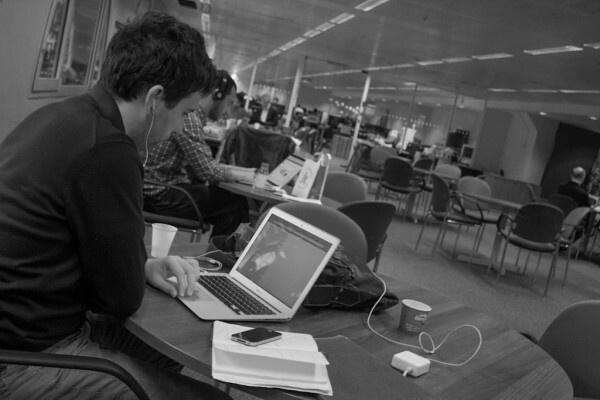 What we often see at technology-led accelerators is that a young, smart software developer comes up with an idea for a product and starts building it because it’s fun and building it first plays to their natural introversion. They don’t get out in the marketplace early on and do customer interviews. Technology-led businesses often build a solution without a problem. We don’t think that you’re aware yet of just how important this is as a point of difference. It’s common in branding that a client doesn’t notice the things that are most important about themselves. Rituals: One of the ways that we look for brand attributes is to investigate your rituals and behaviours. A trick that I discovered early in my management consulting days was to look at what’s left behind on the whiteboards in a client’s meeting rooms. You can tell a lot about what’s considered cool among a group by the hieroglyphs that people leave behind on their whiteboards. In the meeting rooms at the Innovation Warehouse, what you see up on the white board is facts and figures, numbers about creating commercially viable businesses. At TechHub you see more software architecture and database diagrams. At the Trampery (which is more design-led), you see user-journey diagrams and user-interface scribbles. The Innovation Warehouse team, investors and members have a specific set of shared values. Costumes: We also look at who would feel most comfortable in an environment (by observing what people wear to work). How people dress creates an unspoken sense of shared identity. The Innovation Warehouse is intended to be a very inclusive space but every tribe evolves some sort of silent dress code. By contrast, Google Campus is considering banning suits. If you turn up to a meeting at Google Campus they are considering not allowing people into the building who are wearing a suit. That’s because what’s considered cool in that environment is a t-shirt, big headphones and to be sitting at your laptop, coding. Headphones on, jacked in, building the product. Whereas, what’s considered cool at the Innovation Warehouse is that people are dressed very sharply. Everyone here looks like they could confidently go to a client meeting this afternoon. There are plenty of members and guests at the Innovation Warehouse in suits. The costumes at the Innovation Warehouse tell you that what’s considered cool here is to be in meetings with investors and to be out visiting customers. Hustling. Doing business. At a Shoreditch cafe I can’t get as much work done. They’re too noisy. It’s fun to chat and bump into people, but I can’t knuckle down and do real work. Innovation Warehouse has a reputation for getting the barriers to growth out of the way. The things that you need as a 3-5 person fast-growing business are significantly different to what a solo freelancer needs. What are the things that you need as a 3-5 person team? You need a space to work in the same place, you need an office that guests can visit, you need internal meeting rooms, you need a good chair for the long hours you’ll be working, you need fast Wi-Fi and you need a place to have client meetings. The Innovation Warehouse provides all of these in one place so that entrepreneurs can focus on getting the real work done. Sometimes you will get criticised for being a bit drab or that the offices feel a bit like a library, but these people aren’t your target market. It’s better to be passionately adored by your members for being a productive environment than to try and turn the Innovation Warehouse into a nightclub. 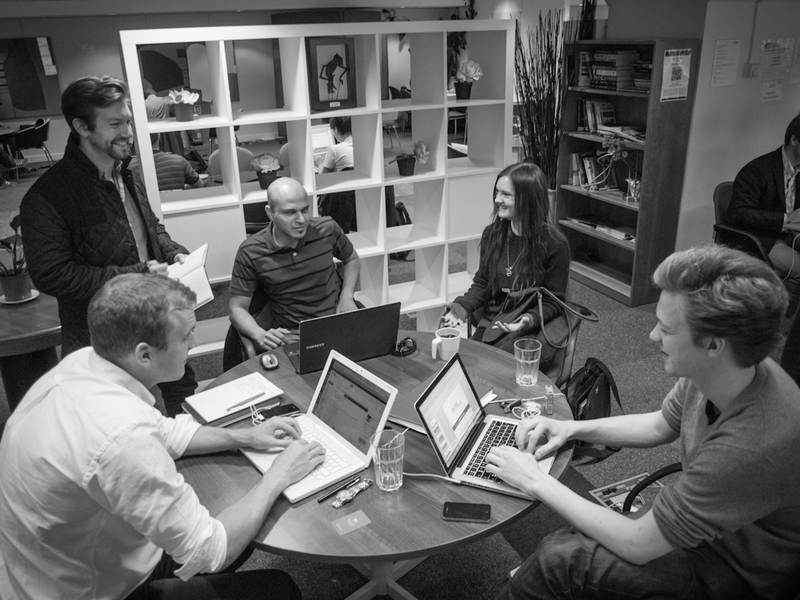 The Innovation Warehouse provides everything a 3-5 person startup team could need. Including angel funding. Removing barriers to growth: The Innovation Warehouse incubator, accelerator and angel funding are also focused on getting barriers to growth out of the way. The style of funding is focused on targeted investment that is used for activities that will directly help the company grow. For example, LawBit raised funding specifically to spend on sales and marketing by running tests which showed that one pound spent on Google Adwords created more than one pound in lifetime customer value. Your members are intelligent people working on complex problems. The nature these problems include behavioural engineering, big data, security and analytics. The types of people that are attracted to the Innovation Warehouse are smart, hard working and pragmatic. Your ideal member businesses are definitely high growth. There are no “lifestyle” businesses, no business that are going to trickle along, making 10% year on year growth. 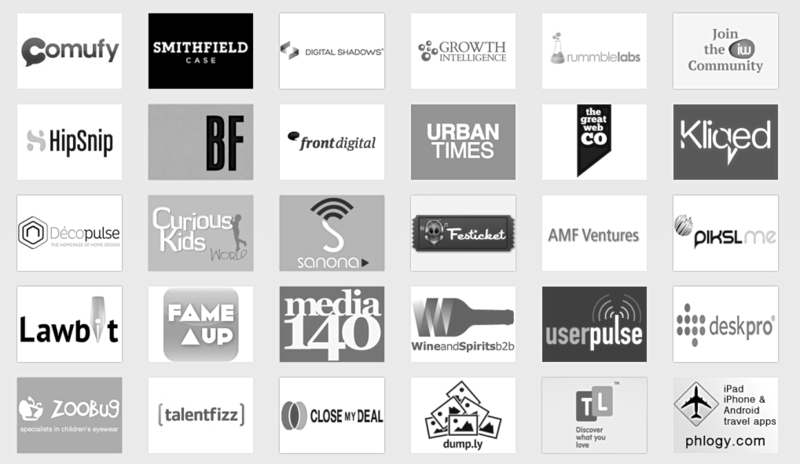 Your’e looking for aspirational, high growth, scalable business models. The Innovation Warehouse is go big, or go home territory. 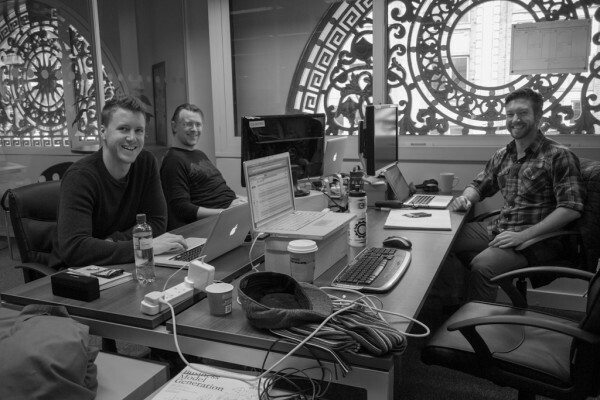 The Innovation Warehouse community is friendly and inclusive while still being a productive place to get work done. People are building businesses that are here to last, they are not just whipping through a short term accelerator programme. Too many startup incubators are creating businesses that can’t survive without life-support. Friendly but not pushy: Being in the Innovation Warehouse day-to-day exposes you to a certain peer-group. This becomes the air you breathe and sets a certain pace. Like runners in a marathon pack, humans tend to conform to the unspoken norms around them. 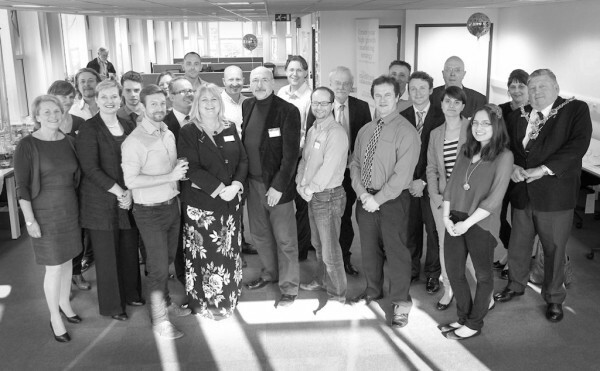 The members of the Innovation Warehouse are friendly and personable so you’re immersed in a hard-working peer group. To agree the shared brand values, we can look for common themes among the brand attributes. In the management team interviews and customer workshops we began to distill some of the important brand values. Your members are determined, driven and resilient. They won’t take “no” for an answer, they are here, they are putting in the hours, and they are doing the work. We observed that you can come in on a weekend or after normal business hours. This place is always buzzing with people that are working (and working hard). They’re not just playing at creating a startup, they are building real businesses. Someone left a £20 note on the floor and the cleaner found it and pinned it to the notice board. It actually stayed up there, for almost two months with the £20 note pinned to the notice board. It became a tribal artefact of trust and pride that no-one had claimed the note; no-one thought it was theirs, so it just stayed there. One of the co-founders said to us that when the note was finally taken down, he was tempted to put up another £20 of his own, just as a mark of the culture here because there is a real sense of trust, safety and integrity. It’s deeply buried, but it’s very important. Integrity, honesty, authenticity and directness are key brand values. There is a difference between wealth distribution and wealth creation. The mood at the Innovation Warehouse is all about value creation. Spotting unaddressed issues in the market place and creating new things that create new value rather than just redistributing and competing in existing markets. For the startup here, it’s about growing the size of the pie (or creating a whole new pie), not just squabbling over each slice. We heard words like modest, humble, economical, practical, bare-bones, lean, no-frills, bootstrapped, and pragmatic used to describe the interiors and the community. The Innovation Warehouse has a family feel. 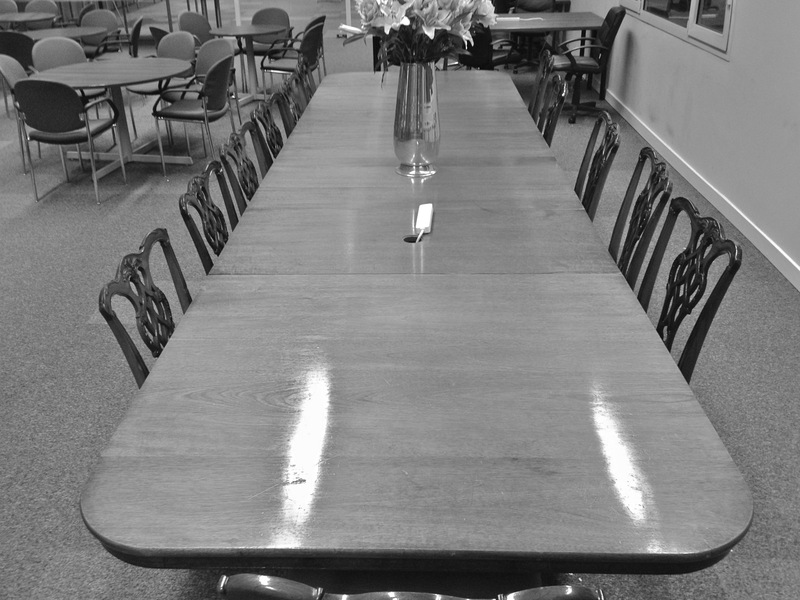 The furniture is rescued from accounting firms and banking office renovations. The artwork is put together by members. The space feels a little rough around the edges. The recycled office furniture makes sense when you realise that everything is optimised for efficiency. 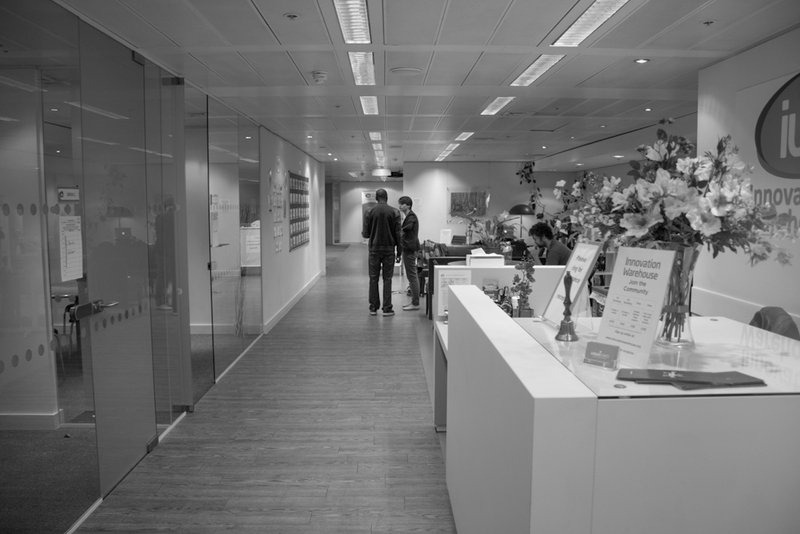 The co-working space is run as a non-profit and the members have prioritised efficiency over glossy good looks. The customer insight behind this value, is that when you’re starting out, you want to save money so that you can focus on your startup and have a longer runway. We’ve honestly identified this as a key value of the Innovation Warehouse founders, team and community. The question remains, is this something to emphasise or even acknowledge in the branding? We’ve struggled with this brand value a little because it’s potentially polarising, some customers will love it, and some won’t. One of the strongest things that we can provide as outside advisors is honest feedback and observations on things that are hidden from the internal team’s view because of familiarity. The overly modest attitude of “build it and they will come” will become less and less effective as the competition become more vocal and builds stronger product offerings. This part of the brand may have to evolve over time. It is not just serious business, or business innovation, but taking a determined approach to both business and innovation. 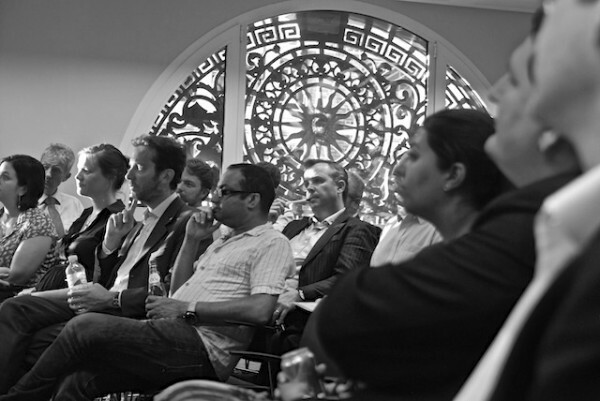 The unspoken belief in Serious Business Innovation is what binds the community, investors, founders and team together. Starting a new company is a serious undertaking. It takes talent, integrity and determination. The human truth behind this brand is that starting a new business is one of the scariest things that you can do as an adult. If you want to take your business seriously, then Innovation Warehouse is the place to come to ‘get real’ about your business. Real entrepreneurs are serious about changing the world. We’re not saying that you put the brand essence front and centre on the website. Choosing a tagline is a separate step (once we’ve agreed on the brand essence). It’s possible that the word “serious” won’t appear anywhere in the public branding material. But it’s the hidden theme that glues the brand together. The brand architecture is very personal to the Innovation Warehouse. It’s unprecedented to share it publicly and it’s usually only used internally to help onboard new staff and new communications advisors (such as design firms and advertising agencies). The Innovation Warehouse team have agreed to make the work public to help other technology startups learn about how to undertake a strategic rebrand process. You can follow the process on the Innovation Warehouse blog and Klaus Bravenboer’s blog. The next steps include translating the brand architecture into a brand personality and commencing the graphic design work.